Aside from being very expensive, flavored coffee creamers tend to have a lot of unpronounceable ingredients. For some, this time of year is a fine time to flavor one’s coffee. 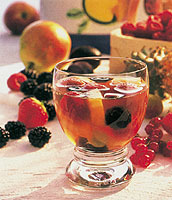 It can be comforting on a cold day, or festive with friends and family over a holiday celebration. So what to do? Make your own! 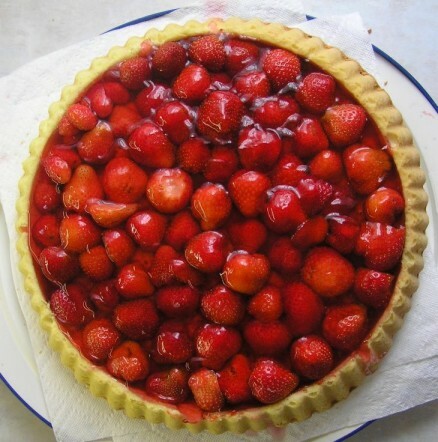 It is very easy, and one batch will last about two weeks in the refrigerator. Now, to make your flavoring. These are suggestions, but feel free to experiment with your own flavor combinations, or adjust the amounts to suit your taste. Strudel: 1 tablespoon cinnamon, 1 teaspoon vanilla extract, 1 teaspoon almond extract. Place all of your ingredients in a container with a tight lid and shake vigorously. If you prefer, you can put everything into a blender and pulse to blend it. Then store in an airtight container in the refrigerator for up to two weeks. Be sure to give it a shake every time you use it, in case anything has settled. 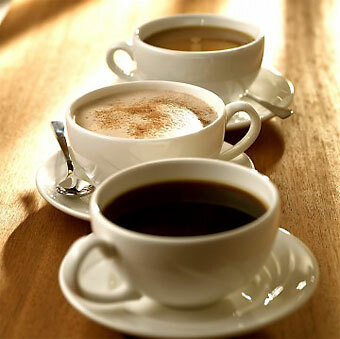 Last but not least, enjoy your coffee! This is the final installation of our Rumtopf series. The recipe is very easy, it’s the wait that is difficult! A savory Maultaschen that is a meat lovers dream. Great hearty meal for the cold winter months, and based on the Swabian version of minced meat Maultaschen. 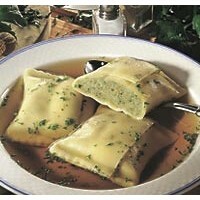 Maultaschen are loosely equivalent to ravioli in Germany, and can contain any number of fillings, sweet and savory. 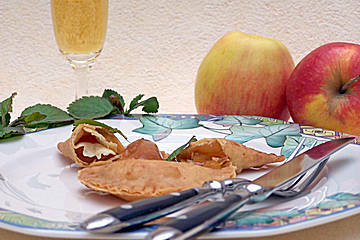 In Bavaria, it is common to have a sweet filling such as apple. There are also several ways of creating the dough. Some recipes call for a potato dough (which is the traditional way) or a typical flour dough. This recipe is an adaptation of a Bavarian recipe I came across online which uses a potato dough. Enjoy!